I thank my lucky stars that a friend of mine referred me to Mary & Dane when they were looking for a Nashville TN engagement & wedding photographer. We met over coffee to chat about their wedding photography and became friends immediately after, meeting up a few times a month over some delish Wild Cow lunches (& maybe a few margaritas at Rosepepper after!). I ADORE Mary & Dane… and their wedding lovingly became one that I was especially looking forward to…. and also dreading at the same time because I didn’t want it to be over!! Mary & Dane’s spooky Halloween wedding at Samary Plantation in Eagleville, TN (about an hour ourside of Nashville, TN) was an incredible day. They chose not to do a first look which made for a very emotional ceremony. 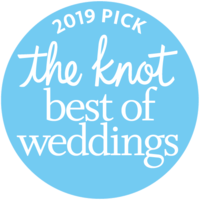 They added some amazing personal elements to their ceremony: Mary’s cousin was their officiant, she walked down the aisle to Jack and Sally’s Song from The Nightmare Before Christmas (how cool is that?!?!? ), and they wrote their own vows which may or may not have been studded with a few curse words…. and I loved it all. Even the horses came over to watch as Mary & Dane tied the knot! I’m totally in love with how you nailed this Nashville TN wedding! You’re such a talented photographer who documents even the littlest details so perfectly! 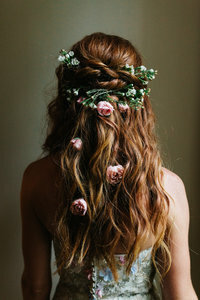 You are the best at capturing weddings, seriously! I only wish I knew you when I got married. I would have loved to have you as my photographer on my special day. Brides in Nashville are so lucky to be able to hire you. Seriously! This wedding needs to be published. Laura you are the best wedding photographer in Nashville. HANDS DOWN. Love them! Laura this is absolutely stunning! You are such an inspiration for me. Your work is consistently amazing! 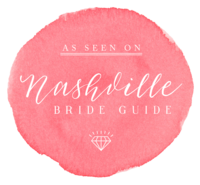 You are without a doubt the best Nashville TN wedding photographer I’ve ever seen! This venue and this couple is just stunning! Your wedding photography work really displays love & emotion. Nashville has one seriously talented wedding photographer on their hands! Oh my gosh, I’m OBSESSED with your work! And now I have to get re-married so you can be my wedding photographer. I also have to move to TN — haha! Unless you travel?! 😂 Seriously, though…you’re amazing. I can’t believe this wedding isn’t featured in a magazine. You captured both the emotion of the bride and groom, as well as all the little wedding details so perfectly. Nashville people looking for a wedding photographer are so lucky to have you around! Laura, I truly believe this couple was DESTINED to have you as their Nashville TN wedding photographer! You were such a great fit for perfectly capturing their big day! Such a gorgeous wedding in Nashville TN. You are a very gifted wedding photographer.